This week I’m joined by the host of the host of Straight Shoot, Aubrey Sitterson to talk about growing up in the battleground between WWF and WCW, the mysticism behind Bret “The Hitman” Hart and the appeal of big fat dudes who do moonsaults. We also delve into wrestling video games, The Ultimate Warrior and Master P and The No-Limit Soldiers, and have it out over his aversion to Chikara. 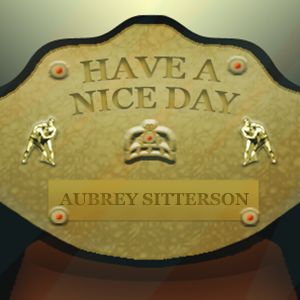 Check out Straight Shoot on YouTube, iTunes, Podomatic, and Google+ or visit Aubrey’s website. You should also follow Aubrey on Twitter, because he’s a cool dude.